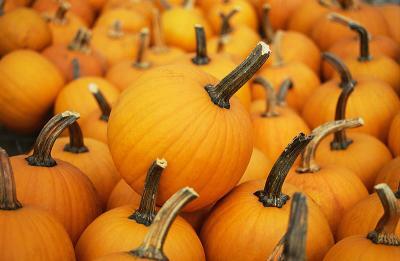 Pumpkins offer far more than a door-stop at Halloween. Make them do double duty. Instead of carving a face in your Halloween pumpkin, use nontoxic paint or marker pens to create a unique face. After Halloween has passed, the pumpkin flesh inside can be preserved by canning, drying, freezing, and it makes excellent freezer or refrigerator preserves. Pumpkin seeds can also be dried and roasted.